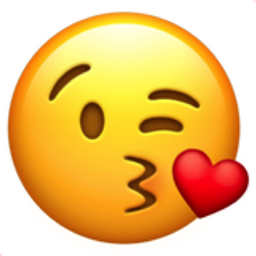 A face with winking eye, puckering lips, and floating heart. Winking and kissing… most often friendly but potentially mildly flirtatious. If a face had hands, this would have been named "blowing a kiss."